Why do we say kids like animal pajamas? In the following paragraphs, we’re going to discuss this topic. Animal pajamas for the little ones are a stylish and enjoyable way to go to sleep. Apart from being fantastic for the nighttime, these are likewise appropriate for costume parties such as Halloween as well. Moreover, many kids insist on wearing these pajamas on a regular basis thanks to the comfort provided by them. Unlike the conventional pajamas which consist of only the trousers and the jacket, animal pajamas are usually a one-piece garment. It is also quite easy to wear them as compared to the other types of pajamas out there. These cow pajamas will surely attract lots of children who love making “moo” sounds just like the cows. It will be a smart idea to purchase a fake costume cowbell which the child can put on along with the pajamas. Kids love squirrels and they will surely like to have fun with these squirrel pajamas in their bedroom or tree house. Moreover, these will also help the parents to teach their youngsters regarding the role of the squirrel when it comes to growing trees. There are many kids who are taller than their counterparts, and they would surely love to pretend to be a giraffe while wearing these pajamas. Besides this, it will also be easy for the parents to make their children consume their leafy greens while they’re wearing this costume. You’ll come across many kids who enjoy eating carrots while hopping around the entire house. Parents might likewise encourage their children to wear these pajamas since it might help their little ones to ingest their veggies. We all know that the lion is the king of the jungle, and kids will find it really enjoyable to roar and purr while wearing this costume. The majority of the elephant pajamas come with massive floppy ears along with a trunk just under the chin. It will be really enjoyable for the kids to pretend to be the biggest creature in the jungle while trumpeting around the living room. Mouse pajamas are recommended for those children who love to act like a cheese-loving creature for a day. Parents might also consider purchasing cat pajamas for some other kid so that they can play the game of cat-and-mouse throughout the day. It is recommended to go for top quality fabrics while selecting an animal pajama for your child. Kids are not able to communicate their feelings in case they are facing an uncomfortable situation such as hot and sultry weather which can make any low-quality fabric extremely itchy. Fleece is going to be a prudent choice for the cold winter months because of its warmth and thickness. On the other hand, pile pajamas will be appropriate for those who are living in tropical conditions. 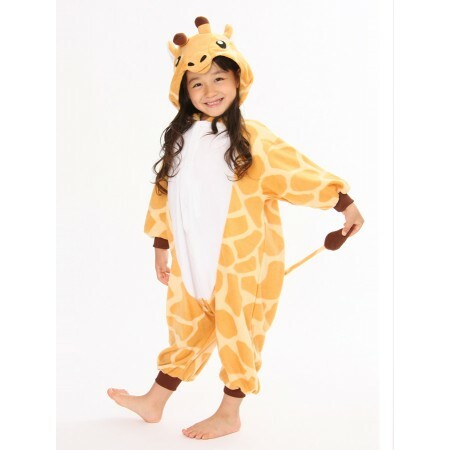 Animal pajamas are a fantastic way to keep the children comfortable and happy. These garments are appropriate for the bedtime, as well as any costume party like the Halloween. Moreover, you will come across branded as well as handcrafted pajamas at present which are marketed by both international and local vendors.